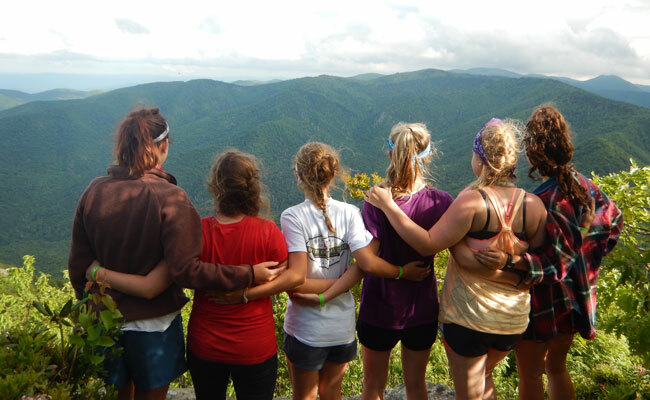 This camp allows girls to explore God’s beautiful creation! The week begins with the challenge of our High Ropes course, which features a 70’ giant swing. Explorers will explore the heights of Pisgah National Forrest with a summit hike excursion, tube down the Green River, and experience the thrill of rafting down the Pigeon! The trip culminates with exploring the depths of Worley’s Cave in eastern TN. Check out the Info Sheet for packing list, physical requirements and camp descriptions. Check your schedule on our Dates and Rates sheet. Click on Waivers to download the needed additional waivers for this camp.